New product launches for Summer 2019. 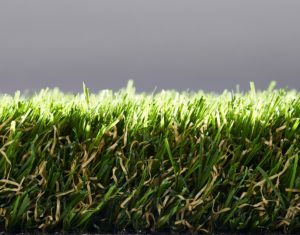 As the new artificial grass season gets underway South Wales’ leading artificial grass retailer Carpet Castle have announced some exciting additions to their range. Firstly, the ever-popular Rosemary and Vinca ranges are now available in 5 metre wide- a first for South Wales. The wider options mean fewer joins and for most gardens, no joins at all. Both ranges are still heavyweight quality grasses and come with the standard 9-year UV guarantee but the extra width just gives an extra option for some customers. Then there’s the new Rambo range. Available in 30mm and 40mm thicknesses, this brand new range has only just been launched in the UK and offers superb value for money. It is bought in very large shipments just a few times a year, so it will be a case of when it’s gone it’s gone. The colours are right up to date and the realistic look and feel of the grass is absolutely fantastic. Only available in 4 metre wide, but an amazing buy. Lastly, an old favourite has returned- this time at a special low price. Mira which was a big hit in 2017/18 and retailed at £16.99 per sq mtr is on sale for a limited time at only £14.99 per sq mtr. Carpet Castle managed to secure a one-off special clearance price on the heavyweight grass and it is really is a bargain. But as always, when it’s gone it’s gone! Carpet Castle would also like to welcome on board Adam Williams, an expert artificial grass installer who will be working closely with Carpet Castle this year to fit lots of gardens across South Wales. Adam is available for free quotations on 07855038752.